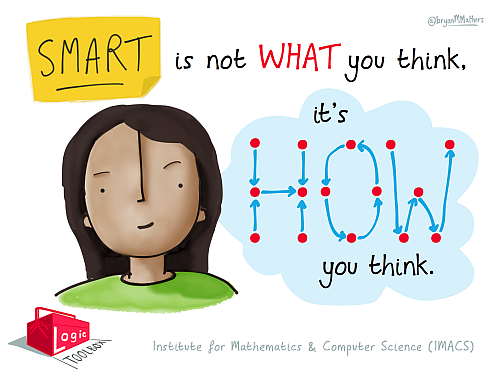 Smart is Not What You Think. It’s How You Think. There was a time when the ability to faithfully recall information was a strong determinant of success. Now we have highly-sophisticated search engines and revolutionary chatbots that speak answers to your spoken questions. What you know and think is no longer the definitive measure of being smart. What matters now and in the future is how you make use of the vast knowledge that is readily available. The modern measure of being smart is in how you think. When it comes to knowledge, success today is more about whether you can combine and extend what is already known in order to address novel situations. For example, competitive business environments shift more rapidly than in the past. What worked yesterday no longer works today. As a result, companies have less need for employees to retrieve information or repeat past processes. Instead they have a growing need for people who can reconfigure knowledge to solve problems in real time. Being an encyclopedia of knowledge might make you a Jeopardy! champion, but in the information economy, if that is all you have to offer, it makes you obsolete. Of course, you need to have some existing knowledge before you can extend it. But talented, young learners can often master the "what" quickly and thus need earlier and more frequent opportunities to explore deeply the "how" and "why". Parents and teachers can support these children by minimizing repetitive work and shifting learning toward activities that ask students to use what they know rather than show what they know. There is still a meaningful way that existing knowledge by itself can help to develop thinking skills — by understanding how the knowledge came to be. In most educational settings knowledge is delivered as fully formed and tidy, which bears no resemblance to the reality of the non-linear struggles and strides that define the paths to new discoveries. Research shows that understanding the challenges that famous scientists faced motivates students to put forth greater effort on hard problems than merely knowing about the scientists' accomplishments. Another study focusing on teachers' knowledge of math history suggests that teachers who understand that mathematics is an active and creative field can help their students see math as a place for inventive problem-solving where questioning and investigating are highly valued. Many education-focused organizations emphasize problem-solving skills. Such skills can be thought of on three broad levels. The entry level is to solve problems that are given to you with conventional approaches that are taught to you. At this basic level, success is a matter of how well you reproduce the steps that you have memorized. But as with knowledge, being smart today is about more than this simple kind of problem-solving. The next level is to solve problems that are given to you with approaches that you try to construct yourself. This level requires a more sophisticated way of thinking because you will need to build on what you already know to come up with approaches that are new to you. To develop these kinds of problem-solving skills, you need more than your existing knowledge; you need analytical tools to make use of that knowledge. For example, you need to be able to see inside the larger problem to its component parts, match up what you know to these smaller problems, and then glue the solution together. 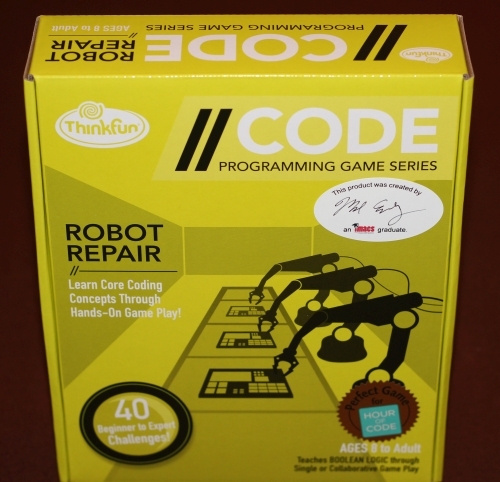 Developing problem-solving skills at this level is an extended process best started when children are young. But doing so is well worth the investment because without this foundation, children cannot move on to the next level. At the most sophisticated level, problem-solving starts with being able to identify problems and ask questions that are less apparent to others. Problem-spotting pushes thinking to the next level because it requires a critical eye toward the conventional and a forward-thinking mind about what the future will bring. This is the kind of thinking that is highly valued in university life and in a fast-paced, global economy because it is the engine for innovative ideas that move humanity forwards. Parents and teachers can plant the seeds for this highest level of problem-solving by creating an intellectual environment in which young people feel safe in both challenging conventional thinking and in having their thinking challenged. Bright, young learners want more than to merely know what is known and do what has already been done. Satisfying their intellectual curiosity must include opportunities to do more than demonstrate mastery of existing knowledge and procedures. Talented students want to be smart by today's standards. Parents and teachers can support them by providing educational opportunities that leverage their knowledge and stretch their problem-solving skills. IMACS helps children to leverage their knowledge and develop advanced problem-solving skills with challenging gifted math and computer science classes that are fun! 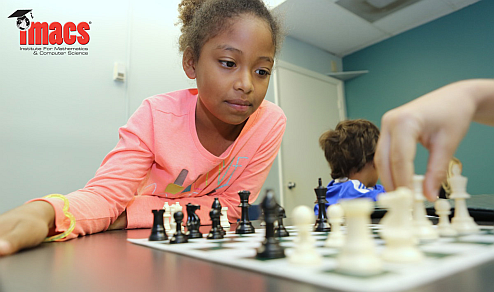 Over 4,500 students currently attend our after-school enrichment and homeschool classes or study our online courses. Like IMACS on Facebook for the latest information about our programs. Comments Off on Smart is Not What You Think. It’s How You Think. As parents we instinctively want to help our children when they struggle. Our impulse is often to just fix the problem ourselves. While this approach makes sense when children are very young, as they grow it becomes counterproductive. In rescuing our kids, we provide a quick fix but deny them opportunities to practice important skills that they will need to become independent adults. This is true in general and certainly with respect to education. As children grow, we should encourage them to develop the thinking skills that they will need in college and in their chosen careers. In what may seem like counterintuitive advice, teaching kids to think sometimes involves parents doing less, not more. 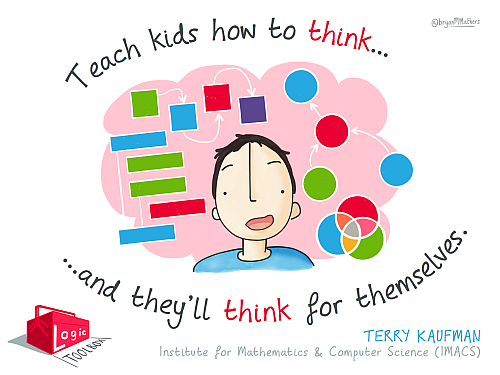 Here are five tips on how parents can help children learn to think for themselves. 1. Don't be so quick to offer help. If your child asks you for help with school work, first consider how much independent effort she has truly given before turning to you. In a world of online programs that provide hints at the click of a button, it's easy to fall into the trap of thinking that getting to the answer quickly is good and struggling is bad. But math education research shows that a healthy amount of struggle actually leads to deeper learning. By answering your child's questions too soon, you can adversely affect how well she learns. Instead, remind her that it is perfectly normal to take a good amount time to work through problems, allow sufficient time in her schedule to do so, and encourage her to be patient with herself. Once you sense that she has put in a reasonable amount of independent effort on a problem, it's okay to offer hints that give just enough information to get her thinking again without giving away too much. 2. Don't point out mistakes before children have had a chance to discover the mistakes themselves. When you point out mistakes to your child too soon, he is less likely check his own work because he knows you'll do it for him. You also curtail the learning and brain growth that happens when he has to determine on his own that he made an error and what the error is. Finally, you may be signaling that you disapprove of making mistakes, which can lead to other problems such as an unwillingness to try challenging activities. When it's time to bring mistakes to your child's attention, a better way is to let him know that he has made at least one error but not tell him what, where, or how many. This approach necessitates that he will have to look carefully over all of his work and encourages the good habit of doing so on his own as he gets older. 3. Do encourage children to correct their mistakes. Too often, bright students just want to forget about the mistakes they make on school work, especially if they have been led to believe that smart people don't make mistakes. But a mistake means that the problem was challenging for your child, so she should definitely look back at it and work to correct her understanding. Often times we learn better from mistakes than from successes, and research shows that our brains actually grow more from making and correcting mistakes. Help your child see the good in mistakes by using them as opportunities to learn more. 4. Do ask open-ended questions. Asking questions is a highly effective way of guiding your child to think his own way to the answer — What information do you have? What information are you missing that could be helpful? How can you break up the problem into more manageable pieces? When your child was young, he probably asked you a lot of "Why?" questions. As he gets older, turn the tables and ask him why in the same inquisitive, non-judgmental way. Why do you make this assumption? Why do you take that approach? Why does this lead to that? As you know from being on the answering end of "Why?" questions, formulating a thoughtful response takes effort. For a growing mind, that's a good thing. One caveat: Be sure to avoid doing the thinking for your child by giving away too much information in the form of a question such as, "Shouldn't you combine like terms first?" 5. Do provide challenges that require deep thinking. Just as your muscles won't grow from lifting light weights, your child's thinking skills won't develop from doing easy problems. What's more, curious, young minds are naturally engaged by interesting, hard problems as long as those minds are not yet overcome with a fear of making mistakes. Intellectual challenges also provide opportunities to develop good study habits, resiliency from surviving the inevitable mistakes, and genuine confidence that comes from knowing you can handle hard problems. IMACS makes your child a better thinker for the rest of his or her life with challenging gifted math and computer science classes that are fun! Over 4,500 students currently attend our after-school enrichment and homeschool classes or study our online courses. Like IMACS on Facebook for the latest information about our programs. IMACS Celebrates Ada Lovelace Day! 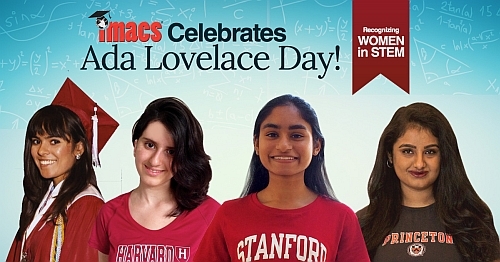 IMACS alumna Rachel Cuozzo (MIT), Rachel Gologorsky (Harvard), Sarah Thomas (Stanford) and Shakthi Shrima (Princeton) embody the spirit of Ada Lovelace Day. October 13, 2015 is Ada Lovelace Day, a day to honor the achievements of women in science, technology, engineering and math. IMACS asks that you join us in celebrating this day by encouraging a girl to pursue her interests in the STEM subjects. She may be your daughter, sister, student or friend. She may be enthusiastically expressive about her love for STEM, or she may be the quiet type who will share deep thoughts if you ask. Or she may be especially in need of your encouragement because she’s not yet received that message or, worse yet, has been actively discouraged from pursuing her passion for STEM. What can you do to encourage a girl in STEM today or any day? If you have the knowledge and time to share, become a mentor to her. If you don’t have the time to commit to mentoring, help her find appropriate enrichment activities such as local events at the science museum or after-school programming classes that will keep her engaged, especially when social pressure can push her off track. Even something as simple as sharing stories about talented women in STEM who can serve as role models can make a difference. IMACS is honored to have been a meaningful part of the education of numerous high-achieving girls who have gone on to amazing college and professional careers. They now serve as inspirational role models for our younger students. Who knows? The girl you encourage today may one day be an IMACS alumna studying STEM at a top university! IMACS believes in the potential of bright young women to shape a better future for all people. That’s why IMACS created university-level courses that help talented girls develop the knowledge and skills prized by top universities and leading companies. Like IMACS on Facebook for the latest information about our local classes and online courses. "My kid could finish his math homework in no time if he would just do it, but instead he drags it out for an hour, and that’s with me having to nudge him through it." Sound familiar? Parents and teachers often assume that a gifted child will automatically be a high achiever given the child’s high abilities, so it comes as a surprise when he or she underachieves. 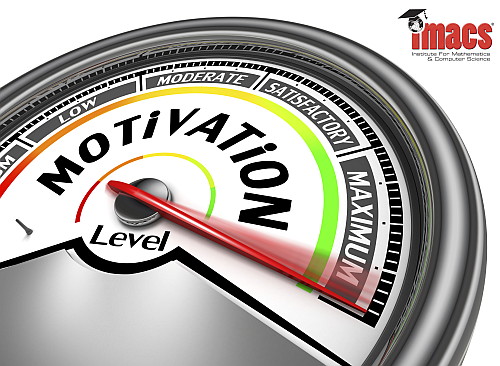 There can be a variety of reasons for underachievement, but a common cause is lack of motivation. Whereas bright students often enjoy working toward external recognition for their accomplishments, gifted learners may not value outside praise as much, particularly if given for activities that do not enhance their learning experience. A child may think, "I already know it, so why should I have to spend time proving that to someone else, especially someone who knows that I know it?" Parents and teachers searching for ways to reignite motivation in an underachiever would do well to appeal to his or her intrinsic love of genuine learning. Because gifted children typically require little effort to learn standard curricula, they need additional challenges that demand meaningful effort. The satisfaction that talented athletes feel after bearing the weight of a true physical challenge fuels their fire to push to the next level. Talented minds need to feel that same kind of satisfaction, the kind that comes from bearing challenges that have true intellectual weight, so they can make the connection between effort and achievement. Providing those challenges is a first step to bringing back lost motivation. For additional strategies on enhancing motivation in gifted children, visit the Davidson Institute for Talent Development. 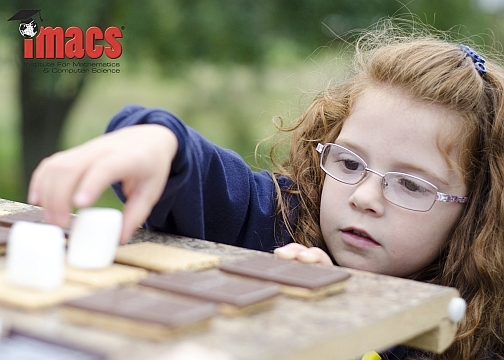 Help your child regain or maintain motivation with fun challenges in a supportive environment at IMACS! Register now to attend a FREE Placement Class. Like IMACS on Facebook for the latest information about our local classes and online courses. 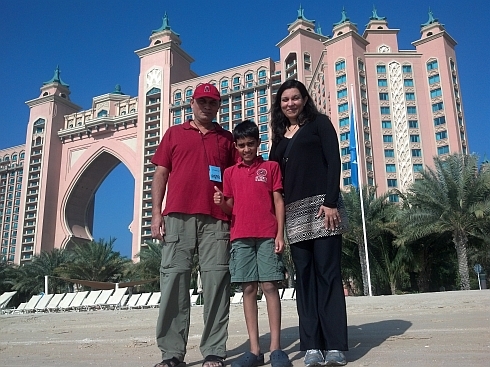 the magnificent Atlantis Hotel on a family trip to Dubai. 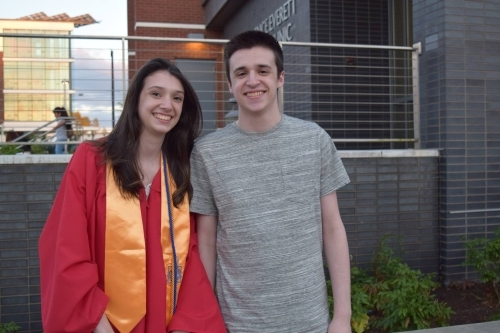 When fewer than 1% of 2014 college-bound high school seniors attain a perfect 800 on the math section of the SAT, you know that you’ve met someone special when he’s achieved that amazing feat before even cracking the teen years. That someone is Shiva Oswal, a precocious 11-year-old from Northern California who recently earned that lofty score as part of a program through Johns Hopkins’ Center for Talented Youth (CTY) called the Julian C. Stanley Study of Exceptional Talent (SET). 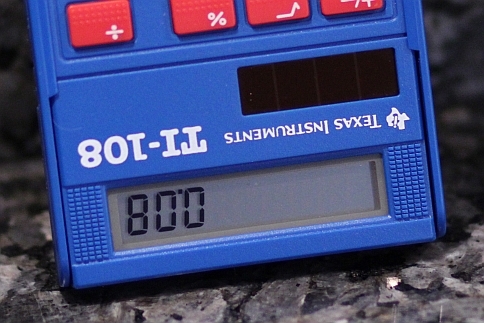 In fact, the probability of an 11-year-old earning a perfect score is less than 0.01%! According to its website, SET "was created to help extremely talented students achieve their full potential, and, through its research and advocacy initiatives, to enhance the educational opportunities available for all academically advanced students." Those who qualify through their SAT scores gain access to individualized educational counseling and opportunities to connect with mentors and intellectual peers. How did Shiva do it? The multi-talented board game designer and aspiring professional soccer player mostly studied on his own by taking SAT practice tests. He kept acing the math section at home, so he felt confident that he had done equally well on the real thing, and indeed, he had. (By the way, Shiva is happy with his performance on the Critical Reading and Writing sections too!) His parents, Arvinder and Vikas, are extremely proud, but they also realize the magnitude of the journey known as raising Shiva. When Shiva was around two years old, his parents noticed that he was able to master abstract concepts and make many logical connections. He often saw patterns and anomalies that others overlooked. For example, having observed that cars had license plates with letters and numbers, he was quick to notice a car with an all-numeric license plate and proceeded to ask numerous questions to understand why. The same thing happened when later that week he saw a car with just letters on its license plate. As with many gifted children, Shiva enjoys probing a subject thoroughly and persistently asks questions in an attempt to acquire deeper knowledge. "How fast can a cheetah run?" "What will happen if it fights an elephant?" "Is a cheetah faster than Spiderman?" These are just some of the questions that his mother, Arvinder, remembers from a time when two-year-old Shiva was intensely passionate about the swift, spotted feline. By age four, Shiva was solving math problems in his head. When his preschool teacher asked the class how many hundreds make a million, Shiva promptly responded with the correct answer, 10,000, even though he had never been exposed to the concept of multiplication. At that point, Arvinder and Vikas, were certain that their son was gifted. "We felt a sense of responsibility and were quite unprepared to deal with the needs of a relentlessly curious and intensely gifted child," recalls his mother. 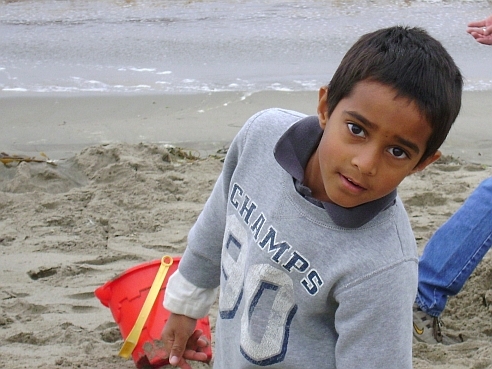 Five-year-old Shiva, full of curiosity and questions, enjoys a day at the beach. As residents of the Silicon Valley area, the Oswals have access to some of the best schools, public or private, in the United States. During the first few weeks of kindergarten, Shiva was very excited to go to school and usually sat in the front row, eager to learn. Over time, the limited intellectual stimulation led to a decline in his interest in school. By the end of second grade, Shiva frequently announced that lunch and recess were about the only things he looked forward to at school. This is when his parents knew that they needed to look for alternatives. "While schools did the best they could, they were neither adequately prepared nor widely exposed to what it takes to meet the needs of the gifted child and hence lacked the ecosystem to adequately challenge the gifted mind," explains Arvinder. After a few months of intense reflection and research, they concluded that homeschooling would probably best suit Shiva. One of the key benefits of homeschooling is the ability to customize an education specific to a child’s passions. Of course, homeschooling has hurdles too. As Shiva’s mom describes, "The primary challenge is that most of the research (to design an optimal experience) rests on the shoulders of parents because designing a sufficiently challenging and engaging learning experience requires an intimate knowledge of the individual child’s passions and strengths." Meeting the educational needs of an extremely bright but young person such as Shiva is no easy task. For his parents, the main difficulty is to continuously find resources of increasing complexity and to pursue these without extinguishing the love of learning. Balance and a sense of what truly matters in life act as guiding principles. "Our hope is that Shiva lives a joyful and fulfilling life while pursuing his passions to the fullest, and we hope he is minimally affected by extraneous factors such as the pursuit of wealth, fame or approbation." The Oswals have found that the most relevant resources for Shiva have been either online or in classes with small groups of passionate, gifted kids with shared interests. "Self-paced, online programs such as Elements of Mathematics: Foundations from IMACS are uniquely suited to adequately challenge the mathematically gifted," shares Arvinder. 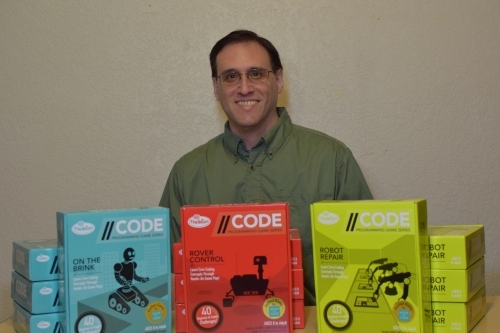 "Our son loves EMF as it allows him to accelerate at his own pace and level up accordingly." Other online programs that have worked for Shiva include Guinevere’s Gifted Group also known as Online G3. G3 classes are grouped by skill level rather than chronological age to allow asynchronous learners to accelerate as needed. Shiva also loves the Druidawn creative writing program, which taps into "the multidimensional and kaleidoscopic world that resides within the gifted mind." In addition to online courses, Shiva has benefited from small, live (or live streamed) classes. He loves attending classes taught by Dr. Lucian Sega who encourages gifted students to engage in sustained, rigorous mathematical pursuits. As Vikas and Arvinder explain, "Dr. Sega’s ability to make a broad range of advanced, often abstract mathematical concepts crystal clear is stunning. We find ourselves wishing we could travel back in time to restart our own secondary math education with him!" For introducing a wide range of math concepts in an engaging way, the Oswals are grateful to Yul Inn of the Fun Math Club. Another extraordinary educator and entertainer who has taught the Oswals much is Dr. Arthur Benjamin. 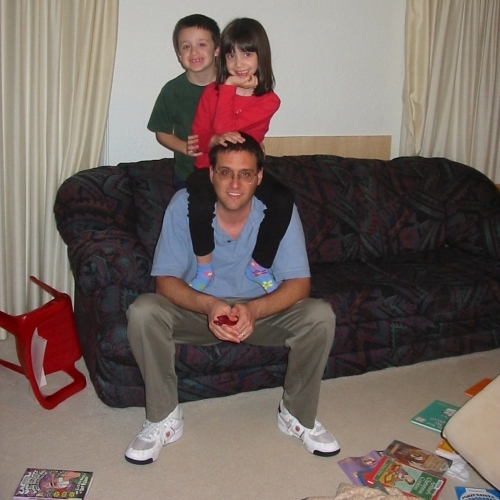 "Our family has enjoyed his Mathemagics shows numerous times. Each time we’ve watched him in action, we gained a new insight, a heightened love for learning or both!" Additional resources can be found through support organizations such as Gifted Homeschoolers Forum, the Davidson Institute for Talent Development, Hoagies’ Gifted Education Page, the TAGMAX listserv and the National Association for Gifted Children. The responsibility of nurturing a young, gifted child takes heartfelt dedication and constant work to continually build an ever-evolving system of resources and support. It is, without a doubt, a labor of love as only a parent can know it, both the wonderful strides and the worrisome stress. But it is all part of a unique path that each family with a child like Shiva must forge together. As Shiva’s mom put it beautifully, "An important part of what we do has to do with ‘the journey’. The journey has not been delegated. The fondest part is that we are traveling on this journey together. We are constantly amazed at how far a child can go when allowed to freely pursue a passion-centric learning approach. It’s been a joy to see Shiva surprise us every day with out-of-the-box solutions. We are very grateful for all that we are learning together as a family because we often satisfy curiosities rather than march to fulfill an external mandate or to earn a grade." Editor’s Note: Shiva’s parents granted IMACS permission to disclose his status as a Davidson Young Scholar and as a participant in the CTY SET program. 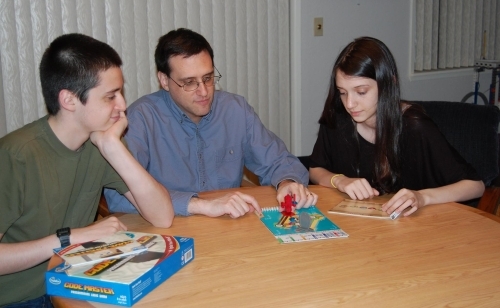 Do you have a gifted child who needs a challenge worthy of his or her ability? Explore IMACS’ online courses at elementsofmathematics.com and eimacs.com. Like IMACS on Facebook for the latest information about our local classes and online courses. IMACS provides bright students with a fail-safe learning environment that is both challenging and supportive. Sign up for a FREE placement class at one of our local teaching centers, or explore our online courses for secondary school students at elementsofmathematics.com and eimacs.com. Like IMACS on Facebook for the latest information about our local classes and online courses.